Whenever anyone asks me what my favorite body part is, I always say my eyes…and that’s mostly because of my eyelashes. I might not have the booty of Beyonce or the mountains of Shakira, but I’m pretty happy with my eyelashes. My natural lashes are long and nicely curved, so with the right lash products then I’m usually a pretty happy lash bunny. 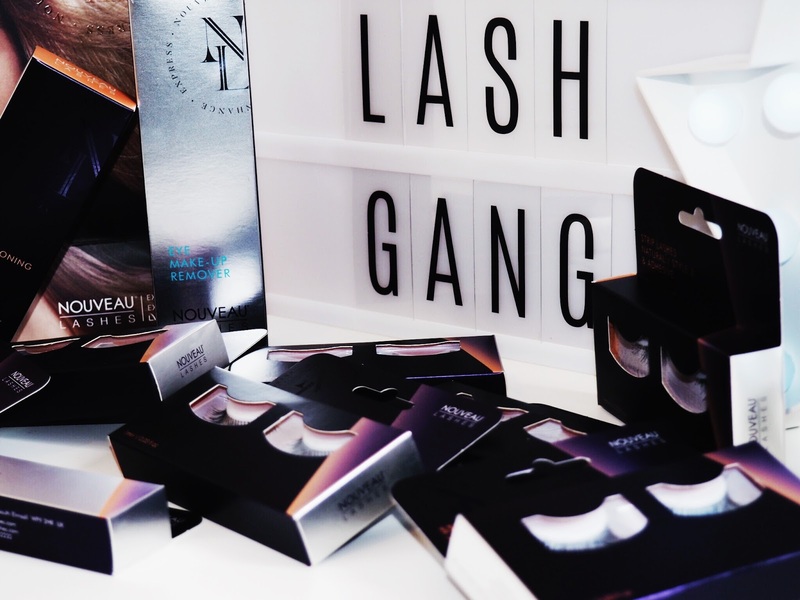 Which is why I was so excited to join the Nouveau Lashes #LashGang recently! I’m often talking about my love for the smokey eye look when it comes to make-up, and this is because I like dramatic looking eye make up. Even during the day I like the glamorous look that a smokey eye and thick lashes can give. So for this reason, I love to add thickness and volume to my eyes by wearing strip lashes. Even the best mascara that says it gives the false lash affect, never quite measures up to a good pair of strip lashes (although some have come close!) That’s why I like to mix things up and keep my eyes looking glam with falsies. 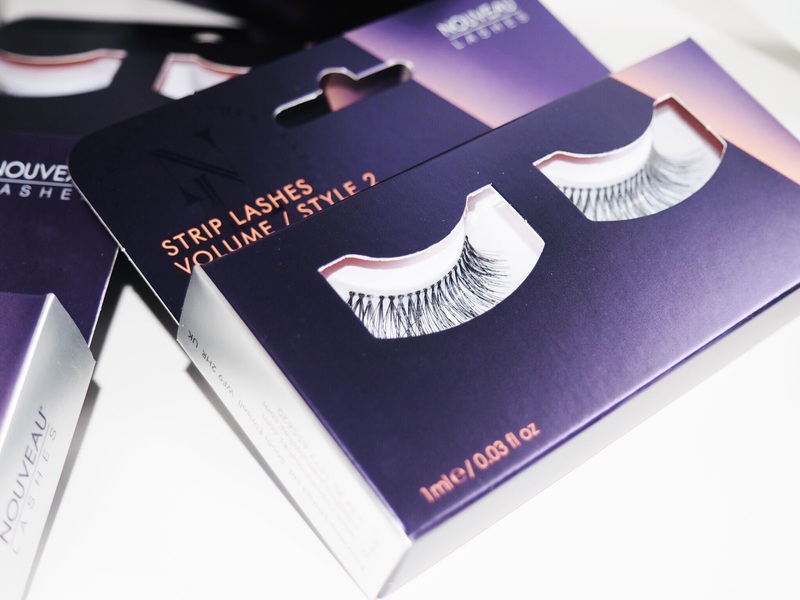 In my time I’ve tried countless strip lash brands – some good and some not so good, and I have stumbled upon very similar issues with most of them. Most noticeably the fit of most strip lashes. They are always too long for me, or too short, and most require slight trimming. The problem is that I can never get this quite right and so the fit always seems to be a bit…off. All the Nouveau Lashes I’ve tried come perfectly shaped and don’t require any trimming, which is brilliant for me. 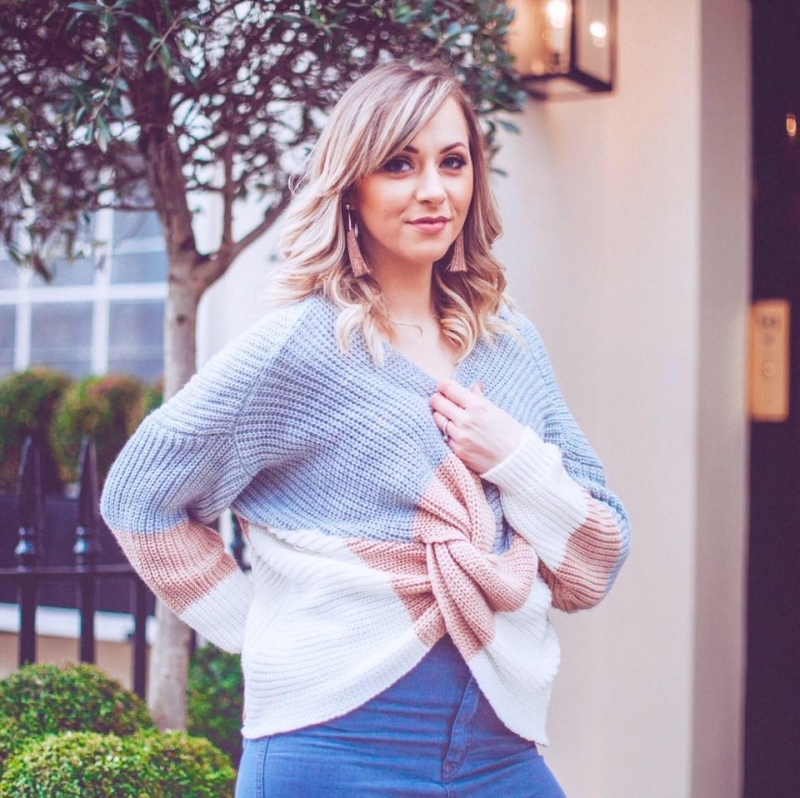 The point of strip lashes (in my opinion) is being able to get the false look quickly, and if you’ve got to trim and re-size then there’s nothing quick about that process is there?! So being able to put these straight on is great for me, especially when I’m in a rush in the mornings. Another key point with regards to the fit would be the edges. Please tell me I’m not the only gal to get severely irritated by those sharp strip lash edges? They poke right into the corners of my eyes and really irritate me, usually to the point where I have to take them off hours before intended. However the Nouveau Lashes don’t have those nasty sharp edges and feel really comfortable to wear. No more pointy corners! 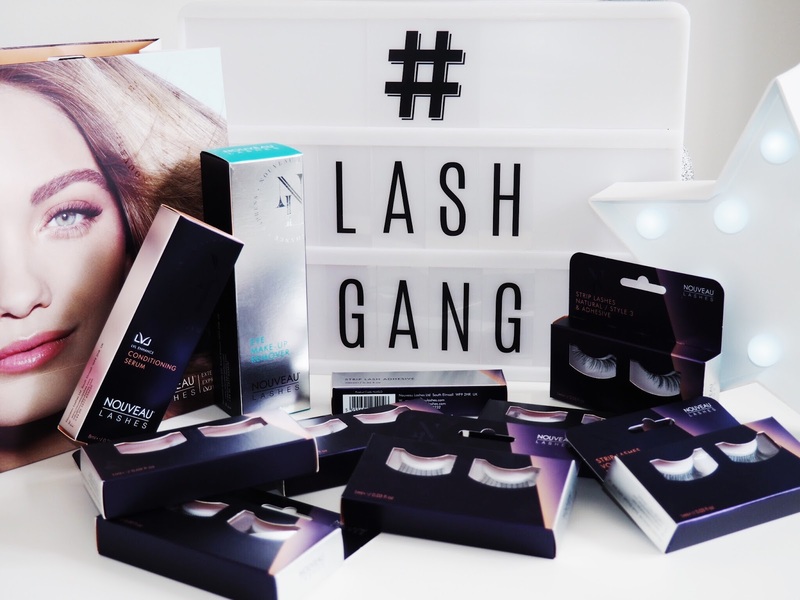 Joining the #LashGang meant that I’ve been well and truly spoilt recently with a lovely goodie bag to try and it included a huge selection of strip lash styles – and I have yet to find a style that I haven’t enjoyed wearing – even their natural range, which isn’t my usual style, still added a good amount of thickness and style. So it’s another win/win for Nouveau on the range of styles they offer. But my personal favourites would be the Glamour and Volume ranges – obviously! 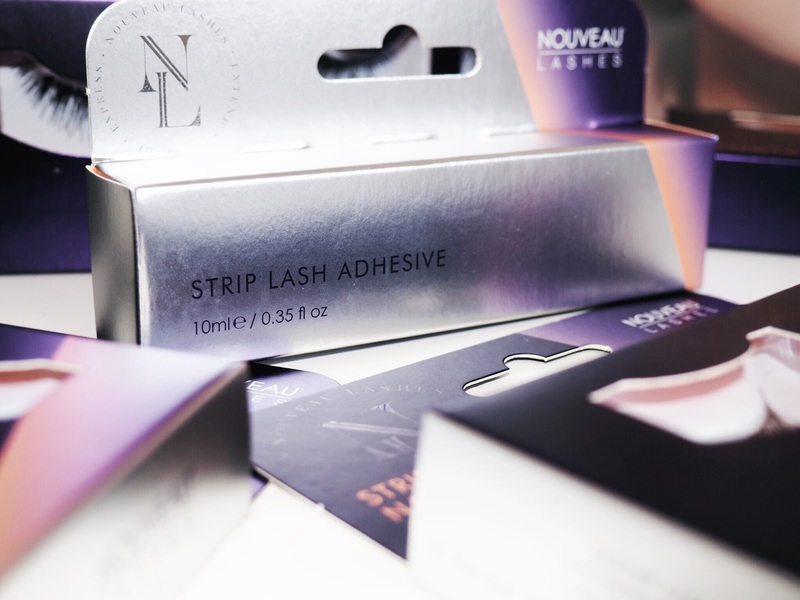 Another great thing about buying strip lashes from Nouveau is that all of their products are vegan friendly – which is great news for all you vegans out there! Every product in their range of strip lashes is 100% animal friendly, which makes me for one feel a whole lot better about buying their products. 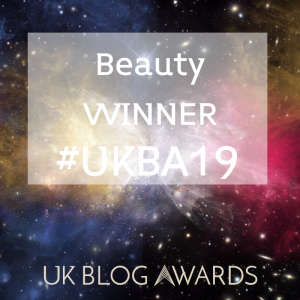 I always take more interest in beauty brands who take the time to source ways and methods of producing their products that are animal friendly – it’s not easy taking the high road! But Nouveau are ticking that box with a big red tick. If that’s not enough to convince you that the Nouveau lashes are well worth trying, then hopefully this is: their products are very cost effective. A set of strip lashes will cost you approximately £6.99 and so far I’ve been getting approx 4 usages out of each pair (I’ve been consciously trying to take great care with them to make them last!) which makes each wear cost only £1.75 – which is a cost that’s 100% justifiable. So, as a #LashGang member I’m naturally singing Nouveau Lashes praises, but the quality, variety and cost sings all of it’s own. I’ll be bringing you regular information on all things Nouveau Lashes and #LashGang in the coming months, so keep checking back for more!